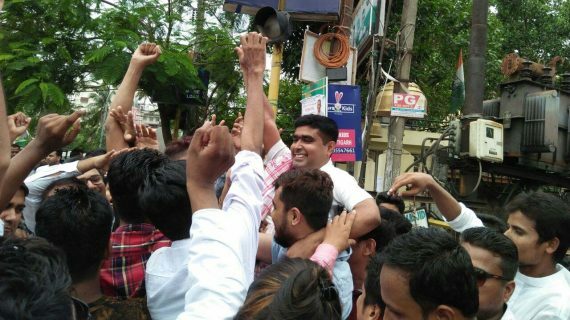 Deputy leader of Congress Legislature Party Rakibul Hussain has the last laugh with the victory of Kamrul Islam Choudhury of Cachar as the president of Assam Pradesh Youth Congress on Wednesday. Another candidate Abhijit Bora, backed by Rakibul Hussain, has won the coveted post of general secretary of the APYC. The newly elected APYC president after his victory was candid enough to admit that he was backed by Rakibul Hussain. Former APCC president Late Anjan Dutta’s daughter Ankita Dutta had to be content with the post of vice president of Assam Pradesh Youth Congress. Ankita was a frontrunner for the APYC president’s post but had no backing of party leadership. The jubilant APYC president and general secretary expressed their gratitude to Rakibul Hussain for his blessings and backing to them.